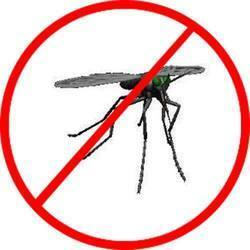 We are leading service provider of Integrated Mosquito Management. Mosquito integrated mosquito management right from anti-larva to adult mosquito beneficial control also at residence for adult mosquito control with residual effect. Descriptions:Mosquitoes are another blood sucking insect for its breeding during the process it transmits diseases like Malaria, Dengue, etc. We provide demo of fogging to satisfy you that the service is effective. - The problem of mosquito is one of the most common and virulent among any other pest problem. - They are everywhere and in plenty. While mosquitoes are more active in dark, they do not leave their prey even during the day. The mosquitoes breed anywhere that is moist or watery. They prefer to breed in stagnant water. The problem of mosquito is one of the most common and virulent among any other pest problem. - They are everywhere and in plenty. Fogging: Using a thermal fogging medium and machine and a WHO approved insecticide, Fogging is carried out externally around buildings at dusk on a daily basis. Mosquitoes area unit the foremost within the man's war against the insects. BEETLE offer comprehensive and specialised dipteron management service for residential and business premises. The numbers of mosquitoes around your home can be controlled by using effective surface sprays or treating any stagnant water around your home and garden. Hot and cold fogging for adults mosquitoes also done at dusk time. The mosquito brings disease and death, creating havoc among unsuspecting victims by spreading malaria, cerebral malaria, brain fever, filariasis and dengue. PCSI has time and again accepted the challenge and succeeded in providing a mosquito-free environment through its scientific and integrated approach. Mosquitoes are vectors of numerous diseases such as malaria, yellow fever, filariasis, dengue chikungunya. Most female mosquitoes require a blood meal before they can produce a batch of eggs. Mosquitoes are infamous for spreading extremely dangerous diseases such as malaria, dengue, brain fever, cerebral malaria and filariasis. Having a mosquito infestation in close proximity to you and your family is an extremely dangerous situation and can be fatal. The primary goal is to keep homes and families safe from mosquitoes. We use totally safe and oudorless best quality chemicals only.